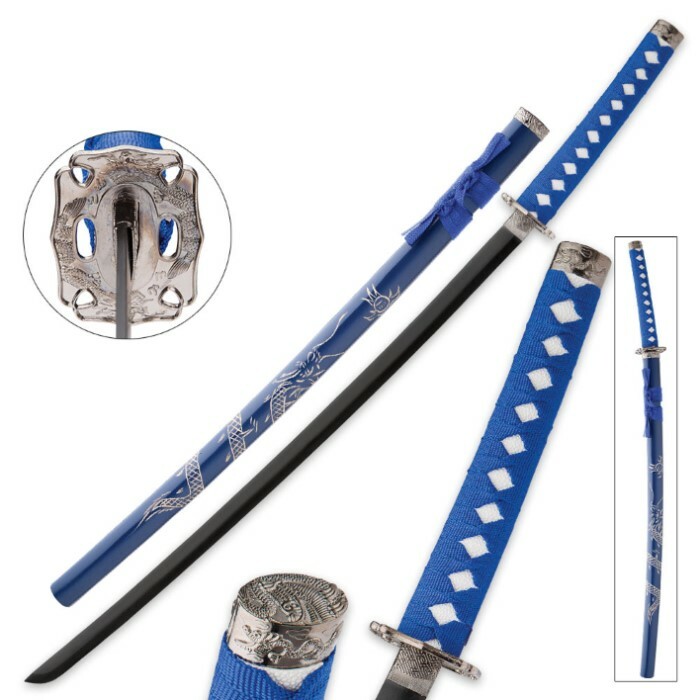 The unique engraving, portraying a flying dragon, that is rendered on the blue scabbard, is what makes this katana a stand-out display piece. 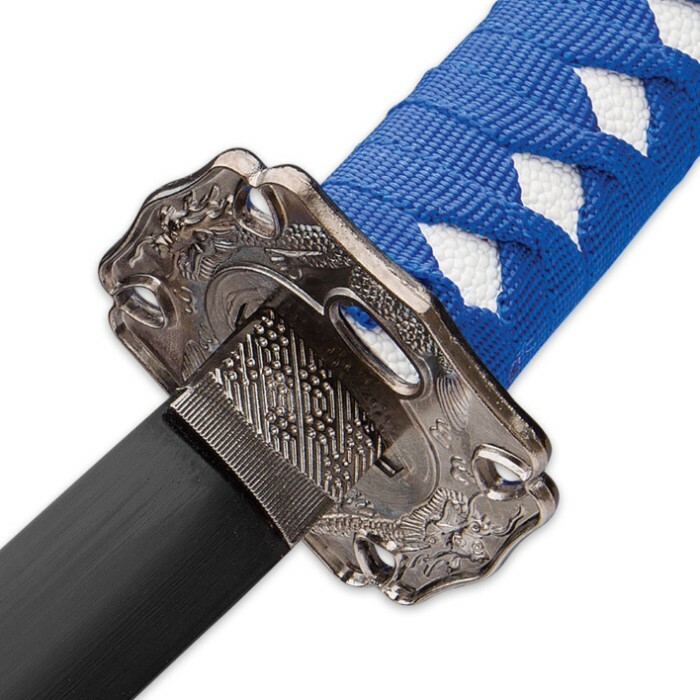 The flying dragon motif is carried through by the cast steel tsuba and pommel. 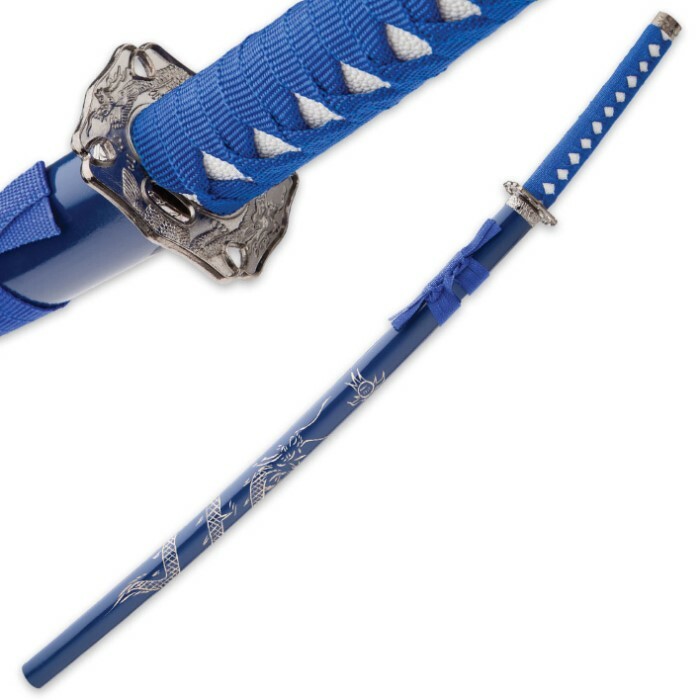 The 27" carbon steel blade has a black finish and the hardwood handle is wrapped with blue nylon cord. Our new Blue Flying Dragon Katana has all of the exceptional qualities that you’re looking for in a quality sword!